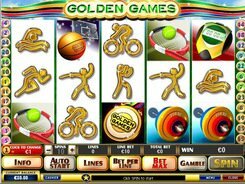 Gain brand new gaming experience with the sport-related 5-line 5-reel Golden Games slot developed by Playtech. 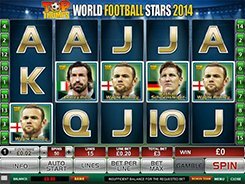 Bet up to ten coins per line and adjust the coin size in a range of $0.01 to $5. 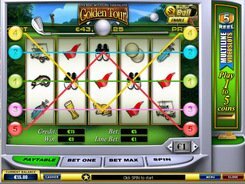 The max wager reaches a fabulous $1250 – a paradise for high-rollers. The Olympic gold medal is the wild symbol that helps create winning combos replacing the missing icons and making it easier to win big. 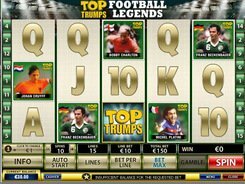 Five wilds landed in an active payline bring you an enormous regular jackpot of 10,000 coins. Three, four or five discus thrower symbols scattered anywhere on the reels pay out your stake by x5 to x250. The Olympic torch appearing on line #1 and #5 at the same time starts 20 free games with x2 multiplier. 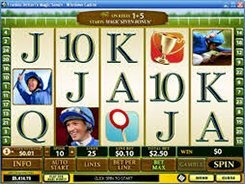 After each winning spin you can take your cash reward or try to double it in the Gamble feature. Select a color of the facedown playing card. If you have guessed it right, your winnings in the triggering spin will be doubled. PLAY FOR REAL MONEY!